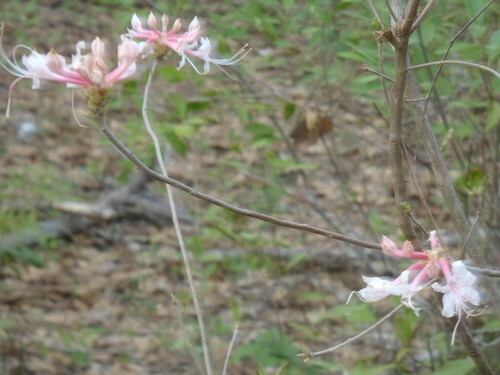 Nope, not honeysuckle: that's a vine; these azaleas grow on a bush. 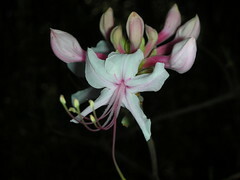 Piedmont Azalea (Rhododendron canescens), native to the U.S. southeast. Often confused with honeysuckle, but that's a vine from Japan, and this is a bush from here. These azaleas are growing in the woods in Lowndes County, Georgia. 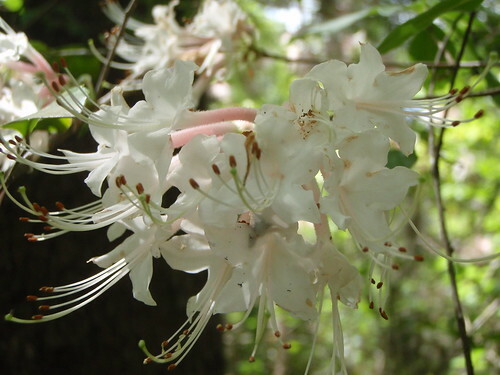 Native wild azaleas, Rhododendron canescens, growing in the woods. No, not honeysuckle; that's a vine, and is from Japan. These are bushes, and are from here.